It is with great pleasure that we announce Dream Wash, an exhibition of water color scrolls by Joel Long. Joel is a prolific painter and tattooer who has worked in these mediums for 20+ years. Focusing primarily on traditional Japanese and Americana imagery, his works are evidence to his passion for the craft. In this recent collection he explores these themes further using a cohesive hand and unified mounting technique. His efforts have resulted in a sweeping view of majestic beasts navigating through the storm of life and pondering the quite of death. 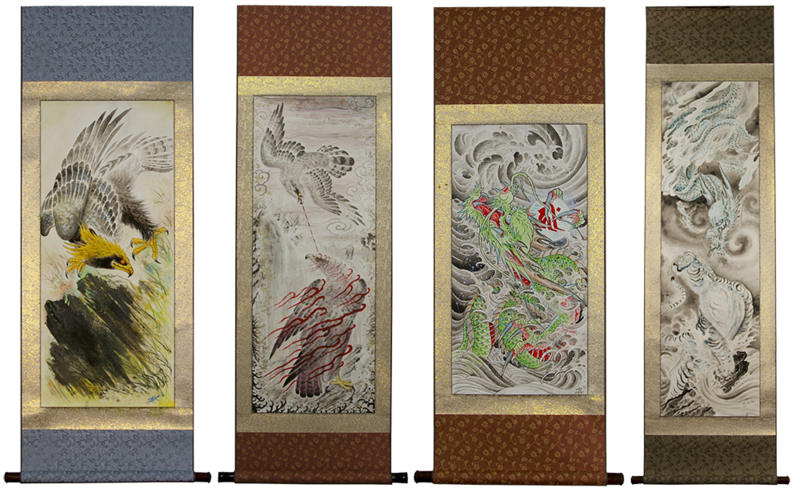 All are beautifully bound in kakemono style hanging scrolls. Kakemono “hanging”, or kakejuki "hung scroll", is a Japanese mounting technique that allows the piece to drape elegantly against a wall and can be rolled for storage. In addition to Joel's scrolls we will have a limited edition shirt available at the exhibition and on our website. 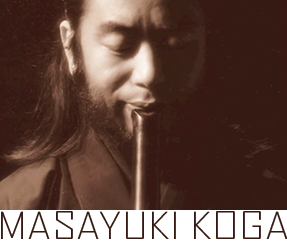 To accompany Joel’s body of work shakuhachi master Masayuki Koga will perform at the opening reception. Founder of the Japanese Music Institute, Mr. Masayuki is an extraordinary performer, composer and teacher of both Kinko and Tozan Ryu shakuhachi.